Honda has plans to launch its new fuel cell vehicle, the Clarity Fuel Cell, before the end of this year and the first three of these vehicles have already received their license plates. The Clarity Fuel Cell is considered one of the most fuel efficient vehicles in the United States, according to the Environmental Protection Agency. The EPA has given the Clarity fuel Cell with a range rating of 366 miles and the vehicle can travel 68 miles per gallon of hydrogen fuel. Hydrogen fuel cells are the future of transportation, according to Andrew Chiarelli, product specialist with Motocars Honda. These energy systems have become quite popular throughout the auto industry. Fuel cells generate electricity by consuming hydrogen, but this process produces no harmful emissions. Fuel cells can also operate on par with conventional engines in terms of performance. 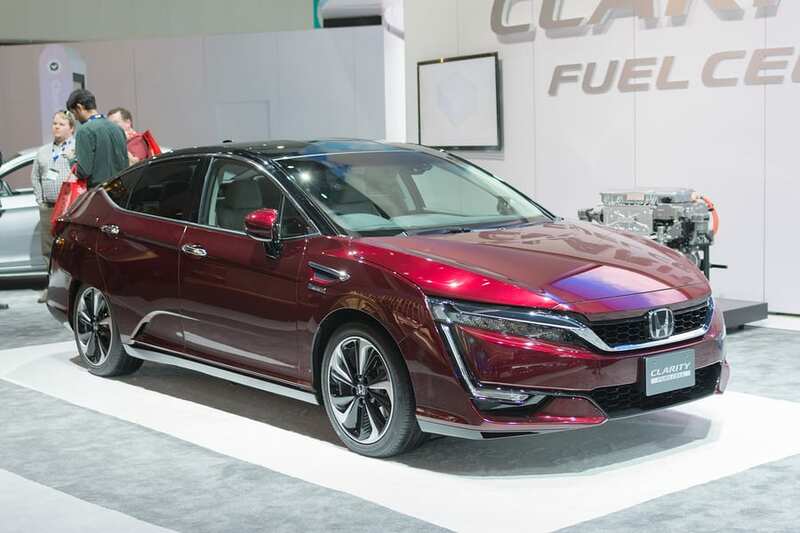 Honda has become a very strong supporter of hydrogen fuel cells and intends to promote its new Clarity Fuel Cell vehicle quite aggressively in the coming months. The Clarity Fuel Cell will first be launched in California, home to a growing hydrogen infrastructure, before being launched in New York at a later time. Honda has taken steps to ensure that its new vehicle is equipped with cutting edge technology. The Clarity Fuel Cell features a fuel cell that is 33% more compact than its predecessor. It also features a 60% increase in energy density than previous fuel cell stacks, allowing it to perform more efficiently and effectively than its predecessor, the FCX Clarity. Honda believes that hydrogen fuel cells will play a major role in the future of clean transportation. The company, along with other automakers, will have to overcome some challenges concerning these energy systems, however. Fuel cells are still considered quite expensive when compared to batteries and conventional engines. Fuel cell vehicles also lack the support of a comprehensive hydrogen infrastructure, which could make it difficult for drivers to keep their vehicles fuels in an efficient manner. Automakers have been working to solve these issues over the past few years.